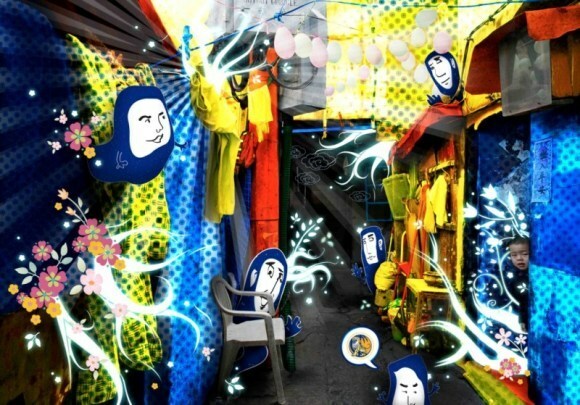 Photographers have submitted shots of Asian cities onto which illustrators have added layers of artwork. Look through the images at Tiger Translate and see how different illustrators have remixed photographs of Asia. The following images will be showcased around the world as part of Tiger Translate. i am shortlisted as one of the 10 finalist. witness Zouk transformed into a City of the FUTURE, and find out which local artist gets to represent Singapore in the Tiger Translate Global event in London. also check out Li Qiu Qiu from Beijing engage in ‘live’ graffiti, and tokyo’s underground mash-up DJs, Dexpistols; both performing for the 1st time in Singapore! register at: http://www.tigerbeer.com.sg/future_popup_content.html for free entry to ZOUK & complimentary Tiger Beer (1st hour/ while stocks last). hope to see all you folks there! technology is constantly changing in today’s world and asia’s rising science and technology strengths mean that in the near future, asians will see the rise of machines and possibly an industrial revolution. we may accidentally sweep away our uniqueness and identity as Asian people therefore the past should be taken into account if we want to build a better future together. a visual representation showing the text FUTURE pointing towards the tiger brand icon can be seen and it conveys the message that together with tiger, we can build a better future.